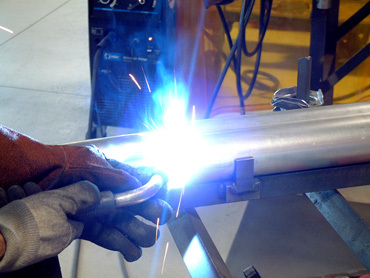 When it comes to exhaust systems, owners are looking for quality, fit and availability. Corvette Central has been offering all three since 1984. Browse Corvette Central's full line of parts for your Corvette. We have everything you might need or want to keep any generation Corvette in great shape, while keeping you in style. Whether you are looking for manifolds, headers or mufflers, Corvette Central has it all. Muffler Pairs $29.95 shipping. Complete, Deluxe or Cat-Back Exhaust Systems $59.95 to $99.95 shipping. Shipping destinations must be within the Continental U.S.; Online retail orders placed on corvettecentral.com only; May not be combined with any other offer or discount; No coupon code necessary, simply place your order! Standard shipping rates will apply to other items on the order. Corvette Central’s in-house manufacturing of 53-96 stock and performance exhaust components offers many advantages to our customers. Corvettes have limited space in which to run exhaust systems. Therefore it is imperative that components are manufactured to close tolerances to assure proper clearance between pipes and adjacent chassis parts. Each pipe that is formed is done so under strict control guidelines. 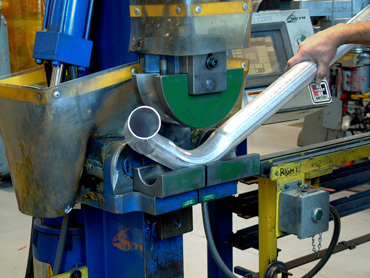 Our bending equipment has been programmed to meet exact specifications. Our pipes have all been designed using original GM pipes as patterns. 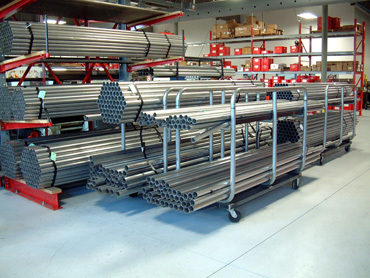 Many pipes require flattening in certain areas to maintain proper clearance. These flattened areas are reproduced to exactly match those of the original parts. In addition to flattened areas, there are other characteristics that are unique to Corvette exhaust systems. Enlarged or reduced diameter sections, pipe size changes, all welded construction, correct factory type brackets and hangers are all features that are incorporated into CC systems to assure exact reproductins of the originals. If it is not welded properly and in the correct position, it won’t fit. We pride ourselves with proper fit so systems have been developed to assure correct positioning using special welding jigs. The quality of the welds themselves are kept at a high level to assure long life and a finished appearance of the end product. Why Aluminized for 53-82 Exhaust? SS retains heat which makes the pipes run hotter. This heat is radiated throught the floor of the car. Customers that purchase SS for its appearance will soon be disappointed because the SS pipes turn blue near the manifold and yellow back to the mufflers. The heat retained by the SS will cause your exhaust system to grow in length as the car warms up. Customers have measured this growth at as much as 1 ½". This change is enough to make even properly fitting pipes rattle. 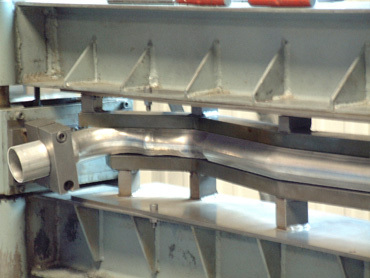 The stiffness of the SS causes inconsistencies in bending and also clamping difficulties. At half the cost, we feel that aluminized exhaust systems are the way to go. The aluminized coating on the I.D. and the O.D. of the pipe allows for proper cooling. SS has many good applications for restoration parts on your car, but we do not feel quality exhaust systems for 53-82 are one of them. If any Corvette Central manufactured exhaust system does not perform or last as expected, Corvette Central will replace or repair it. Read more about our policies.